The Health and Human Services (HHS) Office of Civil Rights has begun phase 2 of its compliance audits. The 2016 audits will targetcovered entities and their business associates. 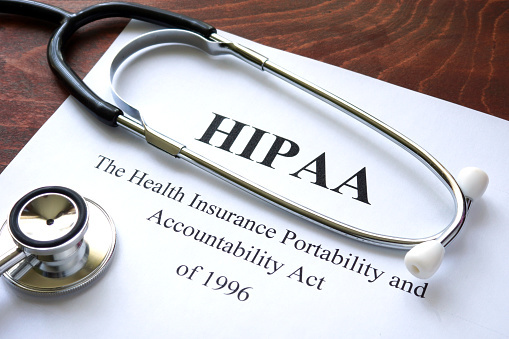 For example, an IT support business working for a healthcare organization is covered under HIPAA’s Privacy, Security and Breach Notification Rules. In the largest HIPAA “settlement” (a fine, really), Advocate Health Care, an Illinois-based Health Care Group agreed to pay $5.55 million after the theft of laptops from one of its data centers. The laptops contained nearly 4 million personal health records. Dragged into the fray was Advocate’s business associate, Blackhawk Consulting, who provided billing services for Advocate. A third party accessed Blackhawk’s network and compromised more than 2,000 billing records. A business associate, for example, could, among other things, do claims processing, data analysis, billing and IT consulting. From medical transcriptionists to technical consultants performing utilization reviews for a hospital, HIPAA privacy rules apply, and the covered entity must execute a business associate contract. Part of Advocate Health Care’s compliance problems, had to do with their business associate, Blackhawk. Advocate failed to get the necessary assurances — a written business associate contract from Blackhawk. Said assurances involve safeguarding all protected information in the business associate’s possession. The covered entity must take steps to seal the breach and end the violation. If the steps do not succeed, the covered entity must terminate the business relationship. If termination is not practical, the covered entity must report the situation to the HHS Office for Civil Rights. HHS has published a Sample Business Associate Agreement on their webpage. Civil monetary penalties range from $100 to $50,000 per incident for inadvertent violations. If willful negligence is involved, the penalties range from $1,000 to $50,000 per incident. Penalties are capped at $1.5 million per year. So, business associates, when it comes to handling electronic personal health information, carry much the same responsibilities as their client-covered entities. Haxxess Enterprise Corporation is the trusted choice when it comes to staying ahead of the latest HIPAA developments, information technology tips, tricks and news. Contact us at (705) 222. -TECH or send us an email at info@haxxess.com for more information.